Did you know that you can change the design on the Cardboard Box? I don't just mean the camouflage of the box, you can actually decorate your box with posters in The Phantom Pain. In this short guide I'll show you exactly how to do this. 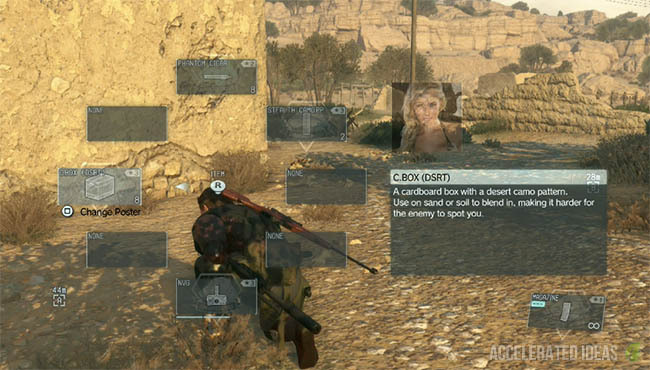 The Cardboard box is a stealth item which players can use during missions to hide and surprise enemies. 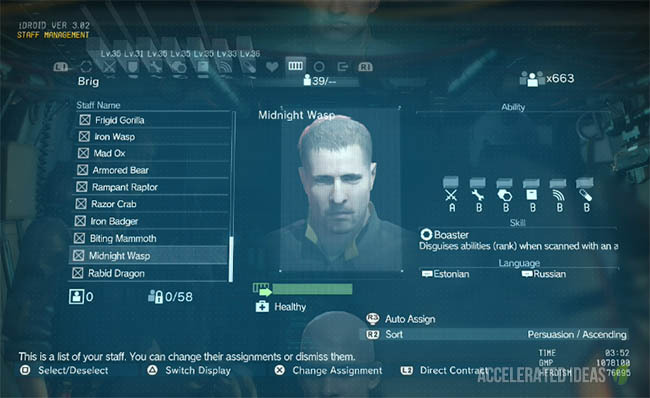 The box comes in a variety of styles from Desert, Jungle, City and other camos, which players can unlock through the Development section of the iDroid menu. There's also another, rather secret use for Cardboard box which is well hidden in the game menu. Did you know that you can change the design of a box and decorate it with a poster? Well you can, and it has some great Easter Egg like effects on the enemy. First up, how to choose a poster for the box. 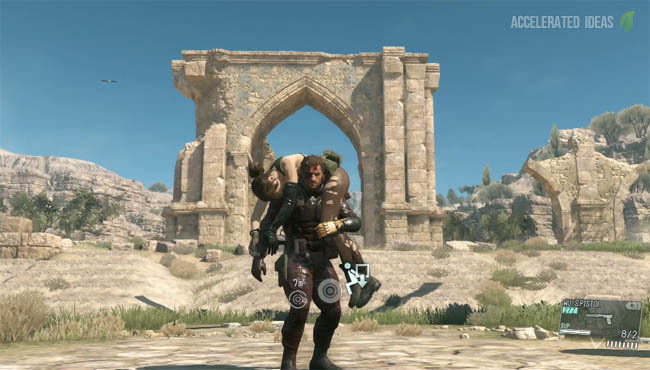 From the context menu (in game) when you select Cardboard Box it is immediately deployed and falls on top of Big Boss, thus hiding him inside. This will deploy the box without a poster, in its default style. Before you deploy the box, highlight it and wait a minute. Notice the little hint on screen? This is shown on the image below, which for PS4 players requires you to press SQUARE. Pressing this button repeatedly, allows you the cycle through the list of available posters which can be applied to the box. You can also apply the poster after you deploy the box for Big Boss. Simply hold the left button on the D-Pad and press the action button to cycle through the posters. The game includes 5-6 posters which you can apply to your box. Players have to find posters scattered around the maps, which are usually pinned up on walls, inside and on the exterior of buildings. When you find a poster simply press the action button and the poster is added to your collection, along with a small GMP reward. It's now yours to apply to the cardboard box. Once you've applied a poster to your box it's not just for your viewing pleasure only. Each poster has a unique effect on guards and you can use this to distract and confuse the enemy. For example, the Glamour Girl poster is a full size portrait poster which will cause guards to ogle at the poster, giving you the chance to CQC without detection. The orientation of the poster is important and unless the box is in the same orientation the effect will not work. So for example a landscape poster is intended for the box in its default state whereas the portrait girl poster mentioned above is intended for when Big Boss is standing up inside the box.